A selection of must have vintage accessories, perfect for capturing the essence of Blousy Brown in your Bugsy Malone Production! 1x Vintage Brown leather holdall bag (52 x 26 x 26cm), perfect for holding her baseball bat! All the items in this kit are vintage. 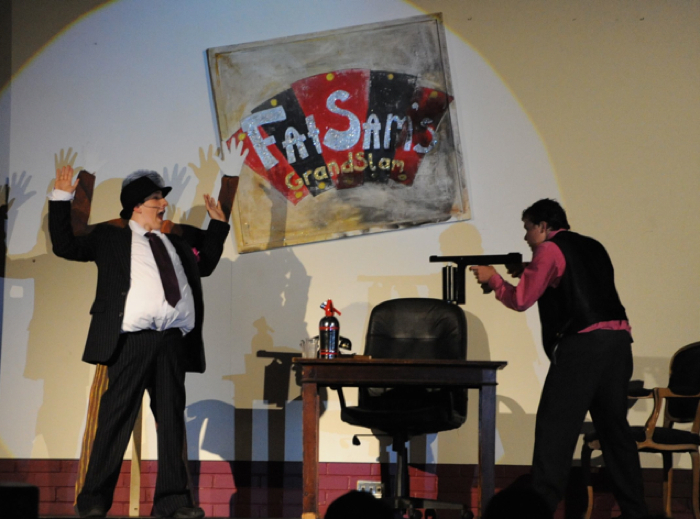 A Bugsy Malone production Blousy Brown accessory kit! 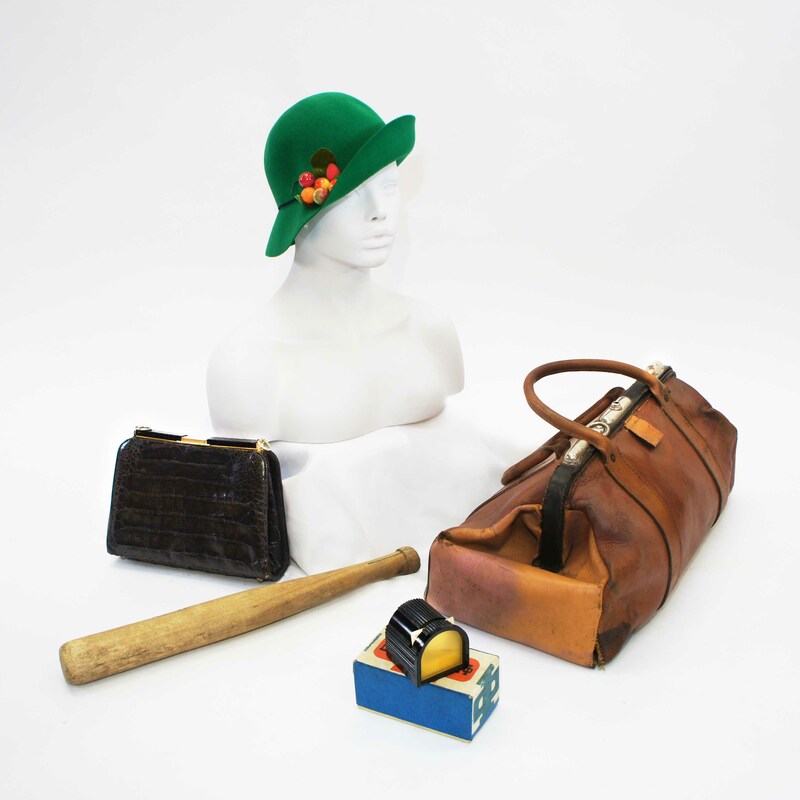 The Blousy Brown accessories kit 1 consists of a Green 1920s hat (size M), Baseball bat, black handbag, large holdall bag (52 x 26 x 26cm) and a Bakerlite viewer with original box. All items in this kit are vintage!